Today is the last day of the Republican Convention. This convention has not been like any other political convention I am aware of. 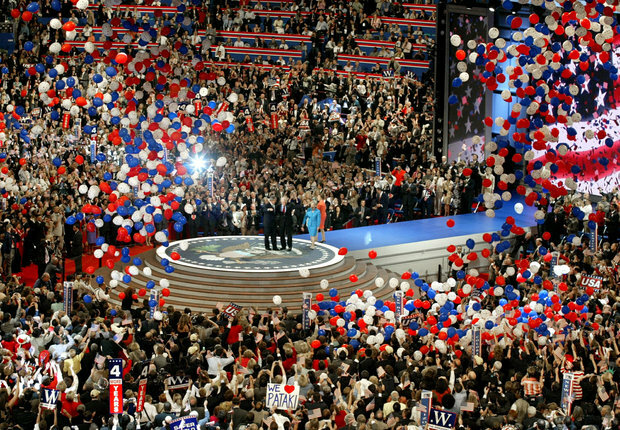 Political Conventions are meant to be large stages where those who believe in the party sing and dance the praises of the candidate. This convention has had so much coverage, but very little about the nuts and bolts of the Republican Campaign platform. As you see what people are talking about isn’t law and order, or a change to the voting system in primaries. I truly believe that this campaign is all about distraction and that Mike Pence will truly be running the country if Donald Trump is elected president. Tonight is Donald Trump’s acceptance speech. I am looking forward to seeing what he has to say. Wait… Trump is in the Lead?